Hello all! I hope everyone had a wonderful Thanksgiving and a restful weekend! 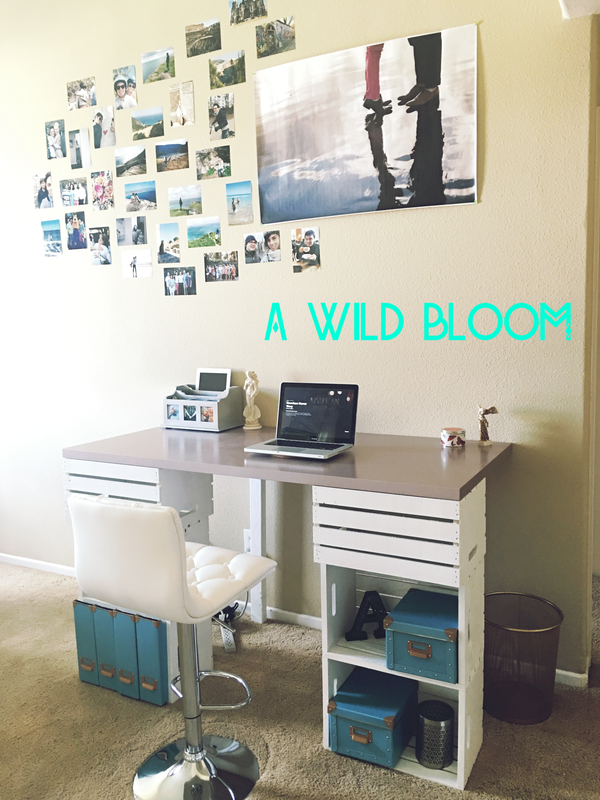 This week I’m sharing with you this awesome (and incredibly easy) DIY. 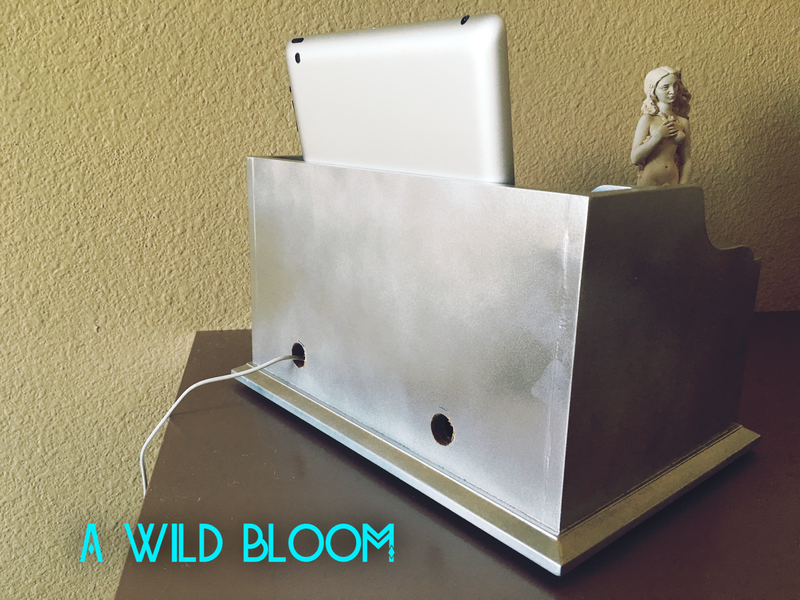 A charging station to house all your electronics! John-John and I are trying to keep our bedroom an “electronics-free zone,” so that means no phones and no iPad in the bedroom after bedtime. This also means that we had charging cords all over the place; all those cords were giving me some serious anxiety. I don’t know about you but I HATE having to plug and unplug and search for phone chargers, it’s a problem. So we needed a place where we could keep all our electronics nice and tidy and the cords hidden away. And then this was born! It’s a simple letter organizer I found at Home Goods (it was priced at $20 but it was scratched so I got it for $15!). Take your letter organizer and give it a little sand down if you plan on painting it. Wipe off any dust with a damp cloth and then go to town with your spray paint of choice, I went with a metallic silver. Let it dry and then get your drill. Use a drill bit big enough to allow a cord or two to slip through. I made two holes in the back and made two matching ones in the slot in the middle so that the cords could reach both slots. Dust off and you’re all done! Now you have an adorable place to store and charge up your devices! And the best part is that you can use as many cords as you need so that you can simultaneously charge everything! 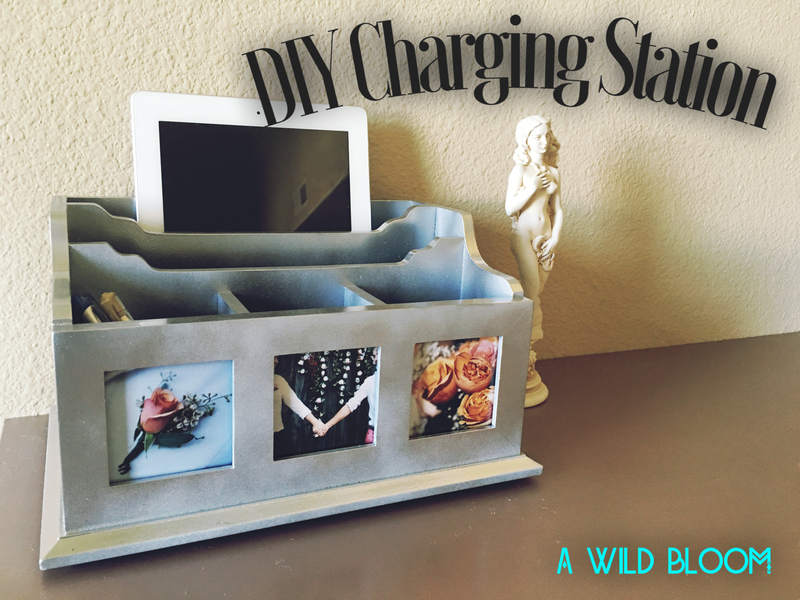 The charging station really adds a clean look and keeps everything organized nicely! What do you all think? Posted on November 30, 2015 November 30, 2015 by andrewholmesdance	This entry was posted in DIY and tagged Apple, Charging, DIY, Electronics, HomeGoods, iPad, iPhone, organize, Station. Bookmark the permalink. ← Cowspiracy. Why you need to watch this film NOW.